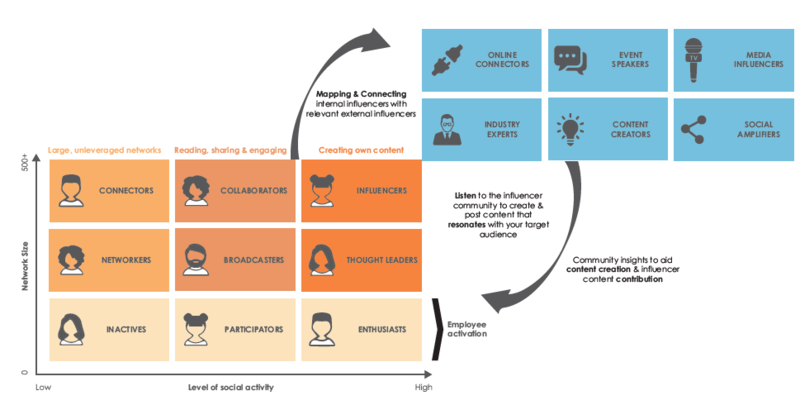 As employees move through the various stages of the journey from ‘social zero to social hero’, their content creation will improve, their reach will increase and their online activity will become what is known as influencer marketing. At this point, the benefits increase further, again for all parties involved. 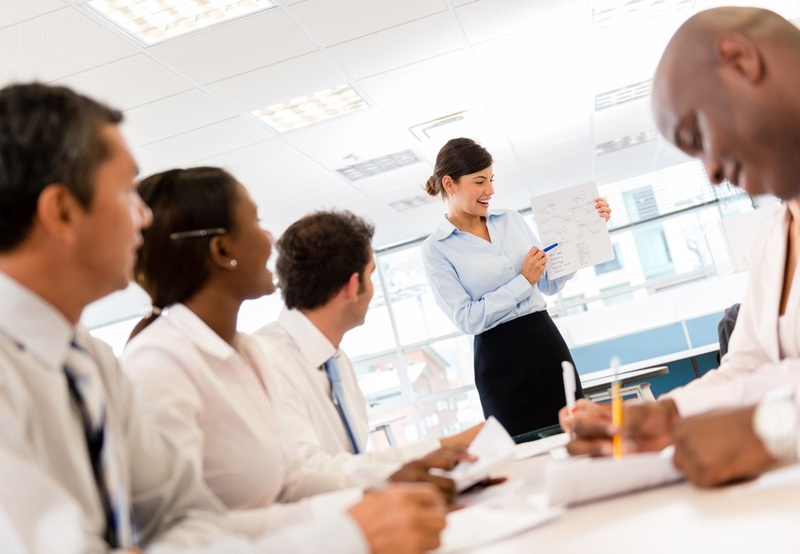 Read on to find out our top 3 benefits of turning your expert employees into brand influencers. Good quality content is certainly the lifeblood of any advocacy program. But, when employees gain confidence and really start to hone their advocacy skills, their content will start to add more and more value. Their insights, the added value that comes with sharing curated content, will be superior; their knowledge plus that which they gain from other industry experts and influencers will become more aligned to thought-leadership. To really maximise on this expertise, and drive further benefits for the brand, organisations need to have analysed their influencer community to ensure their content strategy is aligned and they are echoing the same opinions and staying in step with trending topics. This benefit directly follows on from the last one: becoming so visible in the online marketplace will enable your employees to build always-on relationships which engage with all the right influencers. These relationships will be among the most powerful in their network and they need to be nurtured. In order to ensure this process is managed, we recommend segmenting your influencer groups and assigning employees to their best external influencers. A natural part of this relationship building is that employees will also be sharing content generated by these influencers, increasing their range and mix of topics and opinions. Bringing attention to your relationships with key influencers will help to align the objectives of different departments within the organisation, linking employee advocacy with social selling and influencer marketing and really driving home the value and benefit of a one-team approach. Top Benefit #3 – Powerful Reach. With fully engaged influencers, employees become able to create ‘hero content’ – that’s highly engaging, highly shareable content which appeals to both the employee and influencers wider community. The brand represented by the employee is now starting to become synonymous with the personal brand of the influencer. The employee can then reach the level of ‘social amplifier’, an influencer type more likely to be successful with viral content. Part of succeeding in this way relies on the prep work that goes on behind the advocacy program. It’s imperative for brands to have done their homework: social listening is a powerful activity which helps organisations to identify conversations and topics which are trending in their influencer communities. Feeding their insights into the content creation strategy is then a way to capture this knowledge and embed it within their advocacy programme.